A blend of mature Puerto Rican rums, BACARDÍ RESERVA LIMITADA rum is matured in barrels under the Caribbean sun for 12 years. Appealing to the most discerning palette, each golden glass delivers a medley of warm flavors. 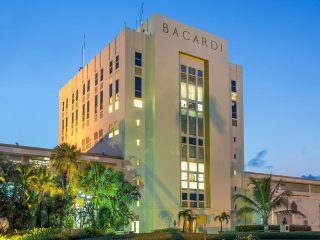 Once highly sought after for its scarcity, BACARDÍ Reserva Limitada came from stocks reserved exclusively for the founder's family. With its smooth, delightful flavors, you couldn't blame them for keeping it to themselves. Now, it's available to everyone. Rich and complex. Smooth notes of butterscotch and dried fruit melt away to a long, dry finish. We love it when people drop by. You can visit us at Casa BACARDÍ in Puerto Rico or Casa Sitges near Barcelona. Take a tour, learn more about rum or just relax and enjoy our hospitality.